Set 5 miles from Erskine Falls in Lorne, The View House offers accommodation with a kitchen. This holiday home features barbecue facilities. Avalon Airport is 56.5 miles from the property. This is our guests' favourite part of Lorne, according to independent reviews. The View House has been welcoming Booking.com guests since 23 Nov 2017. When would you like to stay at The View House? The View House is part of the Lorne Collection. The View House is a spacious light & airy space perfect summer & winter living at Lorne. Fabulous ocean views with private alfresco deck surrounded by native trees. The location is a short walk downhill to local shops, cafes and the beach with a 10 min climb back up William St. 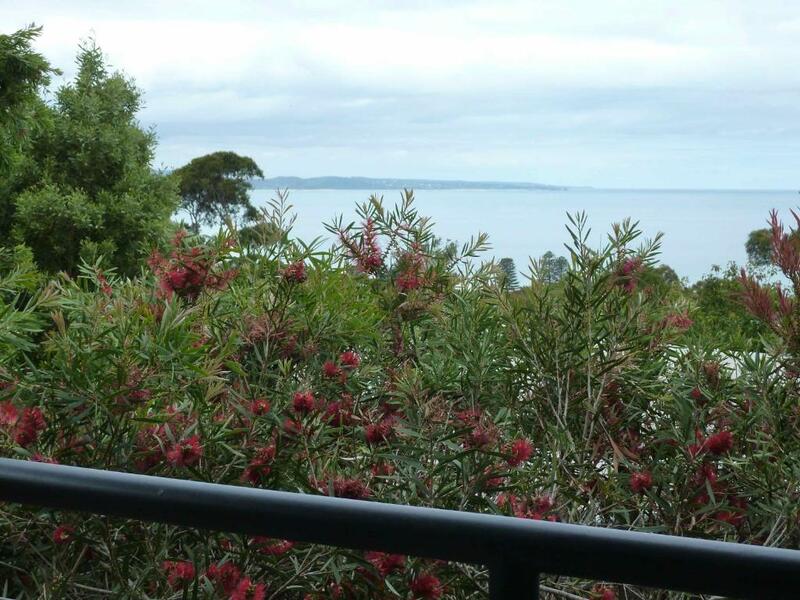 Enjoy the native garden complete with fruit trees whilst soaking up the view. There are three bedrooms, with white crisp linen, cotton doona covers, bright colors for the kids and blankets for a cold night. The main bedrooms have builtin robes with hanging space, extra pillows and blankets if it gets cold. The lounge room features a gas fire, three couches to laze on with many cushions to make sure you are extra comfortable. There are large sliding doors that open onto a deck overlooking the ocean, so you can listen to the sound of birds and watch the kangaroos at dusk. There is a large indoor dining table. Downstairs there is a bedroom with private ensuite for friends to stay over or teenagers you want to see but not hear plus a laundry with washing machine, dryer and sink. You will also find an iron and ironing board for those formal occasions. Sue and Laurel manage all the properties at LORNE COLLECTION. We live in Lorne and are available to assist guests. At the LORNE COLLECTION, we offer our guests a home away from home whilst exploring the Great Ocean Road, the largest war memorial in the world. Each property is unique and loved by its owners. Our hand picked collection of properties cater for a variety of guests and occasions. We have been holidaying along the coast for generations and want to share our special piece of paradise with you. Lorne is a special place located half way between Melbourne and the 12 Apostles. Before we moved permanently to Lorne. we had been holidaying in Lorne for decades. The cafe culture has evolved over time and now there are many options to satisfy the fussiest of guests. There are over 10 waterfall walks in Lorne and the new Livewirepark is open and not to be missed. The beach is one of the best for swimming and surfing along the great ocean road. House rules The View House takes special requests - add in the next step! The View House accepts these cards and reserves the right to temporarily hold an amount prior to arrival. Please inform The View House in advance of your expected arrival time. You can use the Special Requests box when booking, or contact the property directly with the contact details provided in your confirmation. We need at least 5 reviews before we can calculate a review score. If you book and review your stay, you can help The View House meet this goal. Very clean, great views and comfortable living arrangements. The moment we opened the door we instantly felt happy and relaxed admiring the amazing views. Kitchen is well equipped, beds are comfortable, and our favorite part is the full length windows looking out onto the tree tops and sea! The balcony is also fabulous! You can walk to so many places and enjoy many relaxing things Lorne has to offer. Highly Recommended. This is someone's home and,as such, has a tired, old fashioned lived in feel. Fine if it's yours but as a rental it needs investment to update the bathroom and toilet facilities. The bbq was filthy, the oven needed cleaning, the drawers were stained and the balcony needed to be swept and the dead plants removed. The configuration of rooms - a separate room downstairs with only outside access and a small twin room with no cupboards or drawers woul not suit everyone. Also the internal sliding doors did not give the feeling of privacy. Excellent location with a large living room and outside deck with views over the garden trees to the sea. This is the factor which sells the place. Good linen and towels.